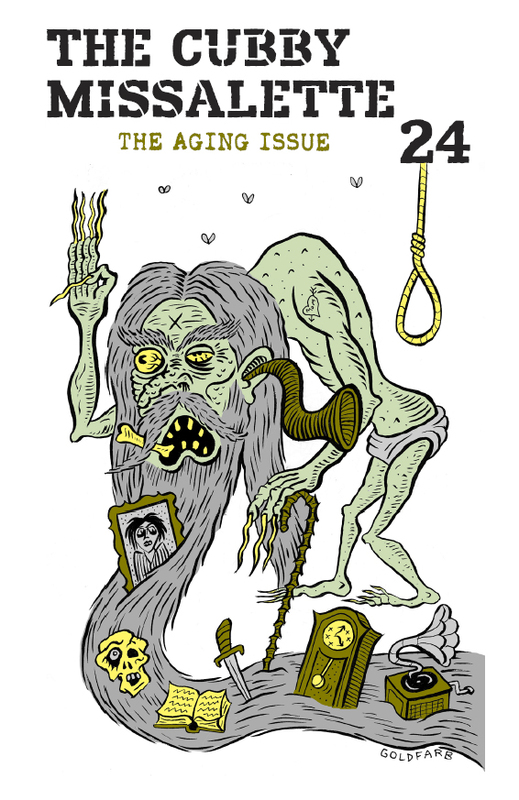 The Cubby Missalette #24: The Aging Issue was released September 3, 2017 at the San Francisco Zine Fest. It was edited and assembled by Jol Devitro and Rani Goel with some assistance by Brian Weaver, and contains the Cubby Bible chapter "A Reading from the Cubby Bible from the letters of Charlie Danger to the Lo Chang Gang." The cover contains an drawing by Andrew Goldfarb. Missalette #24 is 20-year anniversary issue of the Cubby Missalette, thus the theme of aging was befitting.